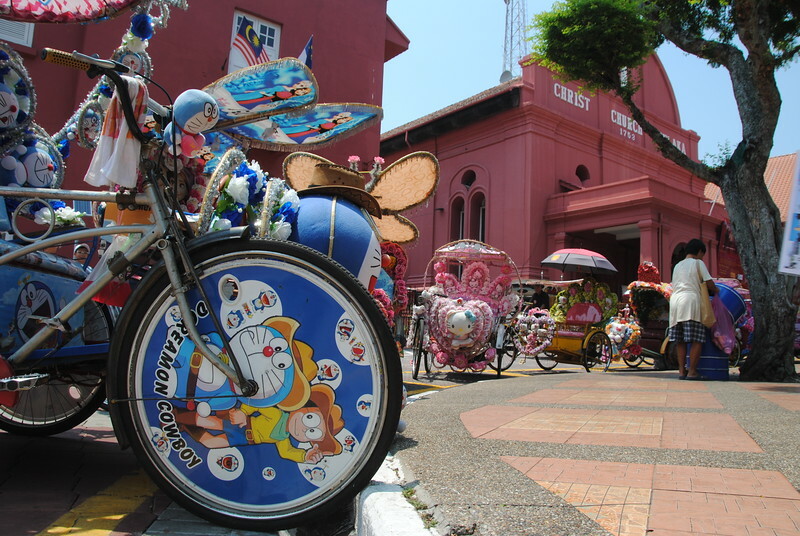 Malacca is a short two-hour ride south from Kuala Lumpur. 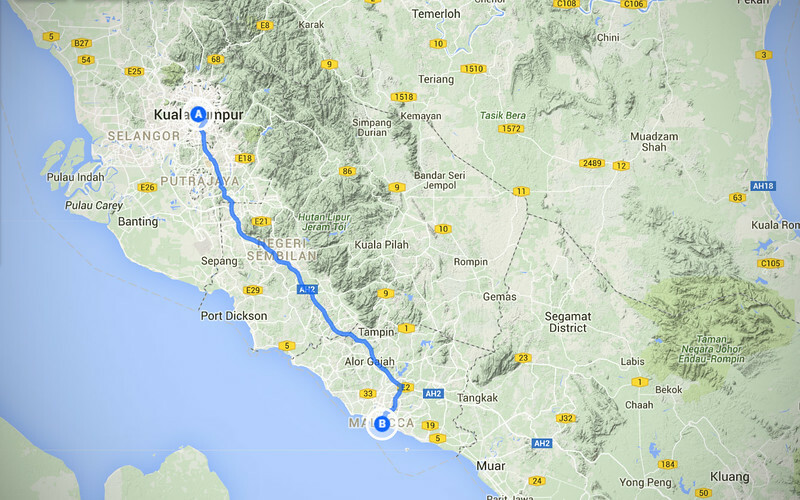 We were already half-way here when we visited Sepang the other day. 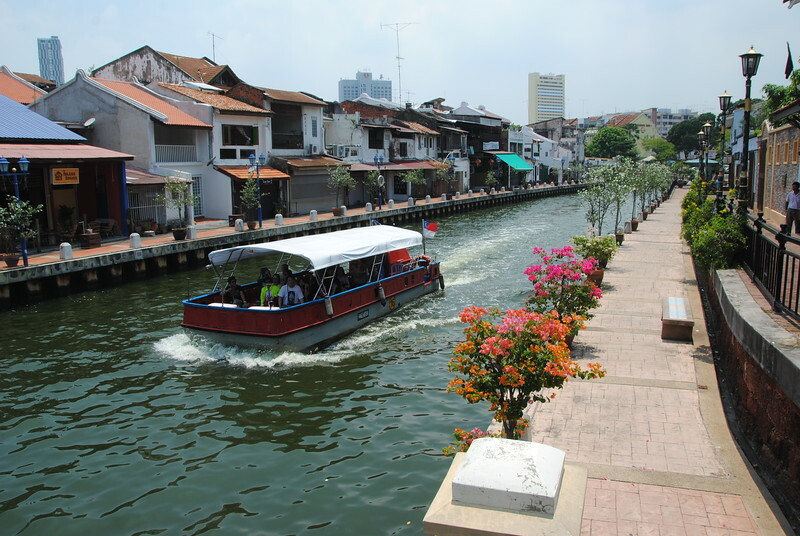 Malacca is one of the popular tourist destinations for both locals and foreigners. 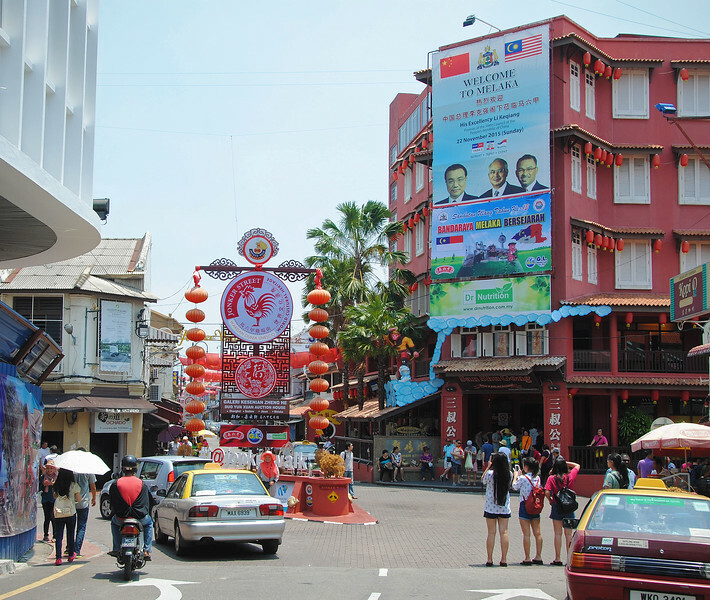 When we used to live here, my parents would come out here on day trips for shopping or eating. 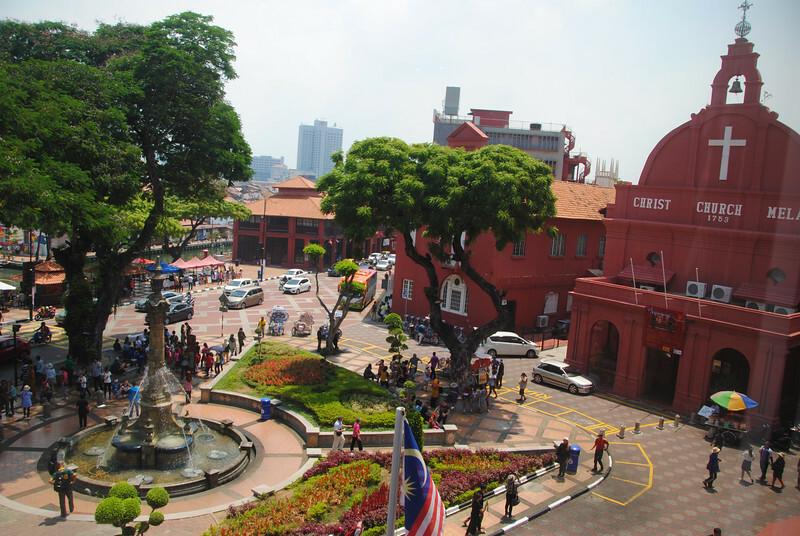 All the buildings in the old town and some of the roads are painted terra cotta by the British after they took possession of Malacca from the Dutch in the 1800s. The locals now call it "Red Square" for obvious reasons. 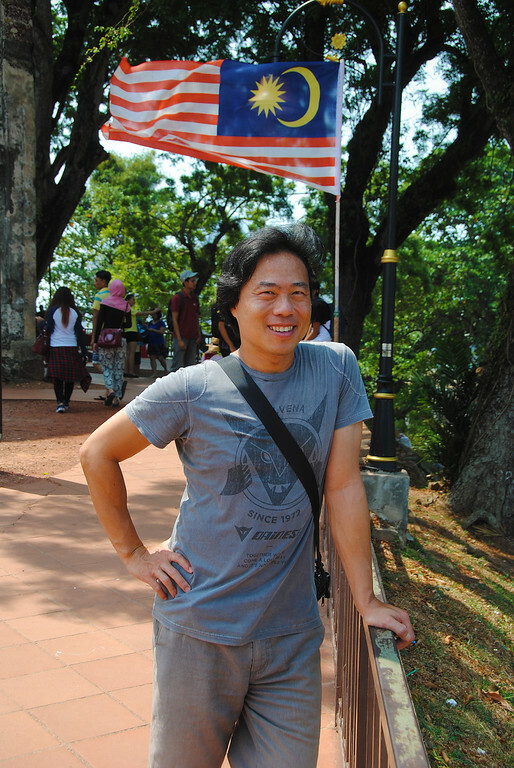 When people ask me what my nationality is, I tell them I'm Malay-Gene. 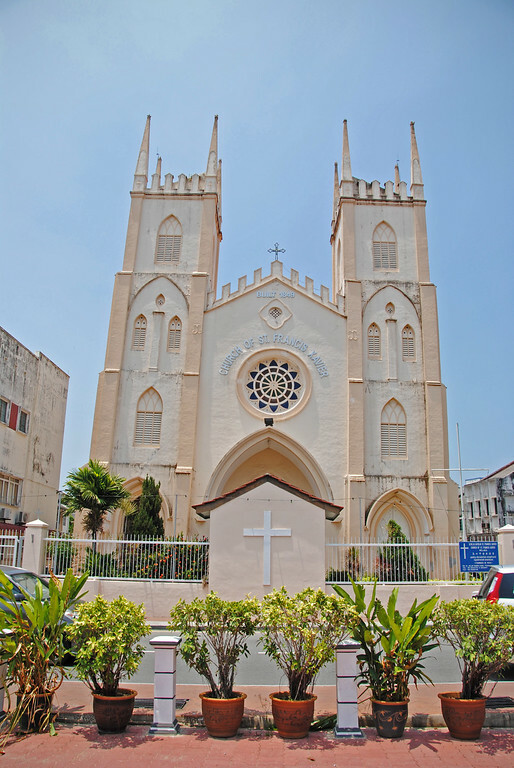 Catholic church built by a French priest in 1859. 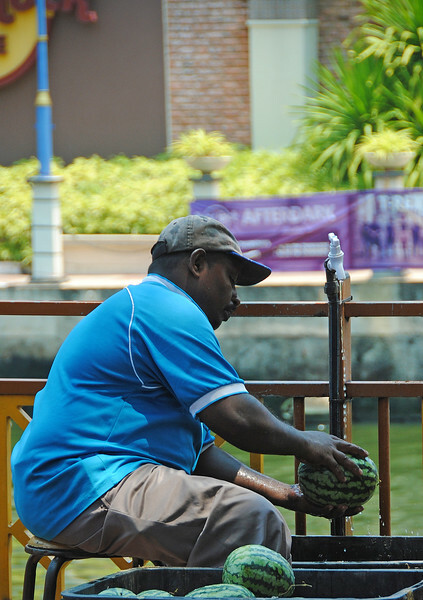 So many different influences here in Mallaca! 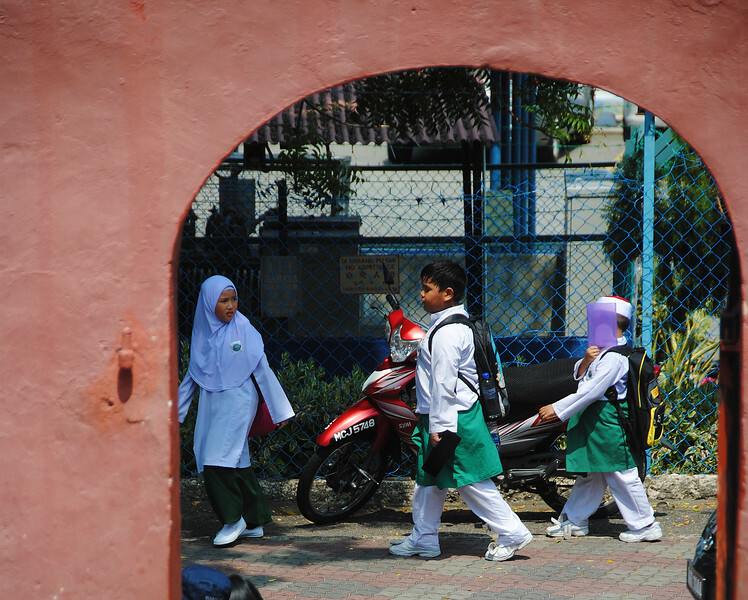 Kids walking back from school. 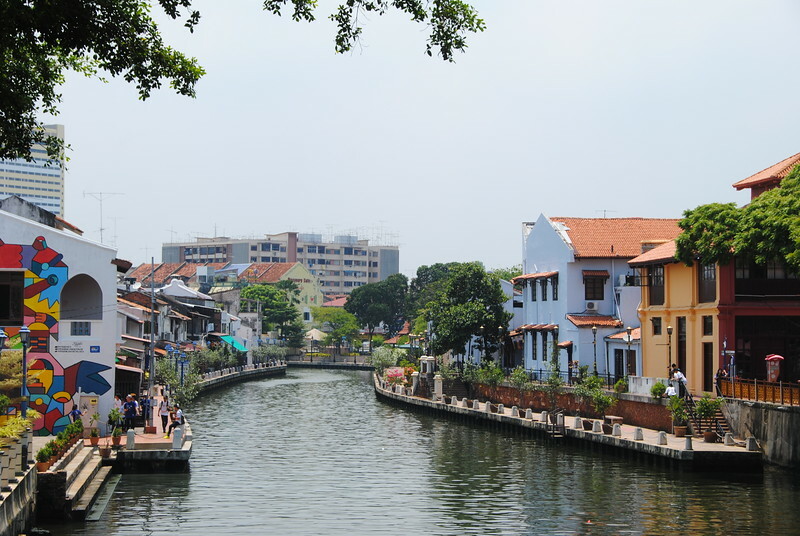 Malacca was an important trading port and strategic centre in Asia and was under Portuguese rule from 1541 until the war with the Netherlands in the mid 1600s. 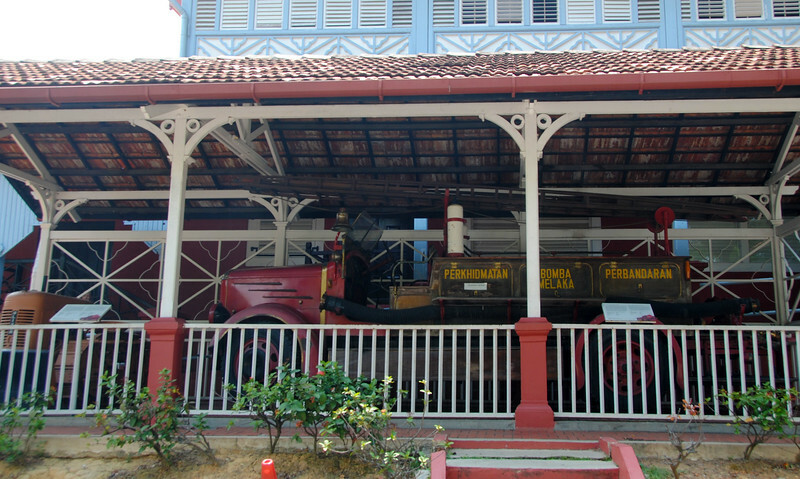 We saw the sign on the firetruck above and it reminded us of the Spanish word for fire fighter, "Bombero", which is very similar to the Portuguese word "Bombeiro". 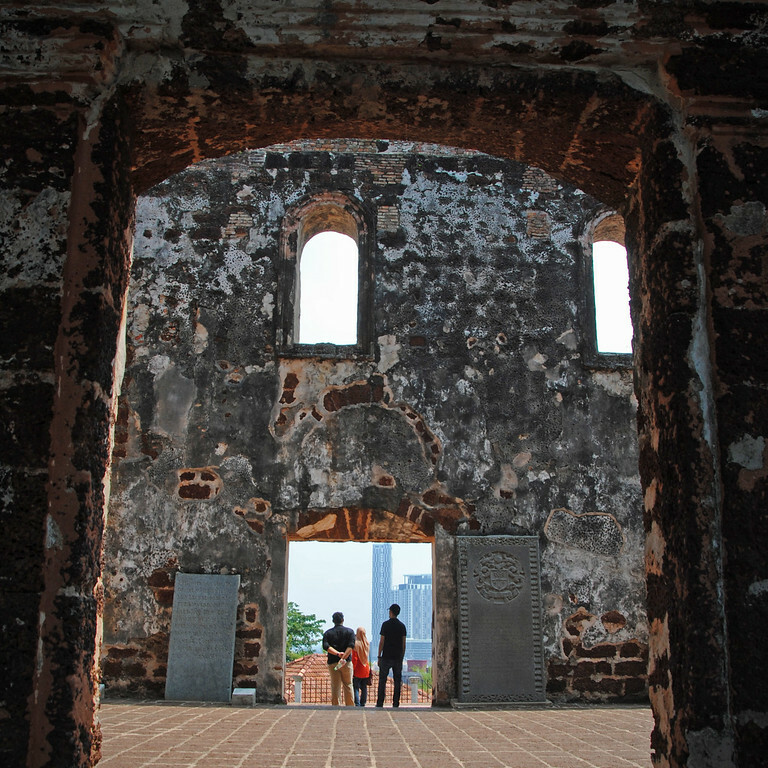 It turns out that some Malay words are also influenced from the time that Portuguese occupied this part of the country. 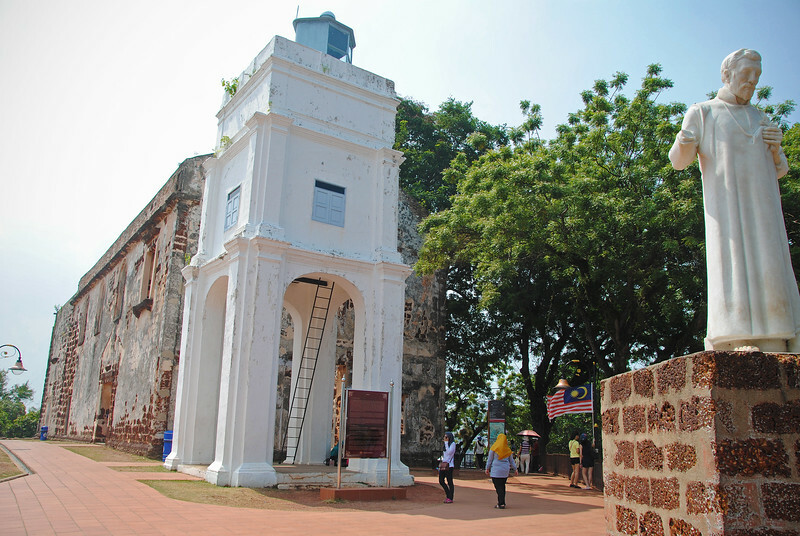 Did you know Jamaica also invaded Malacca? Well, maybe not the entire city, just this one store. 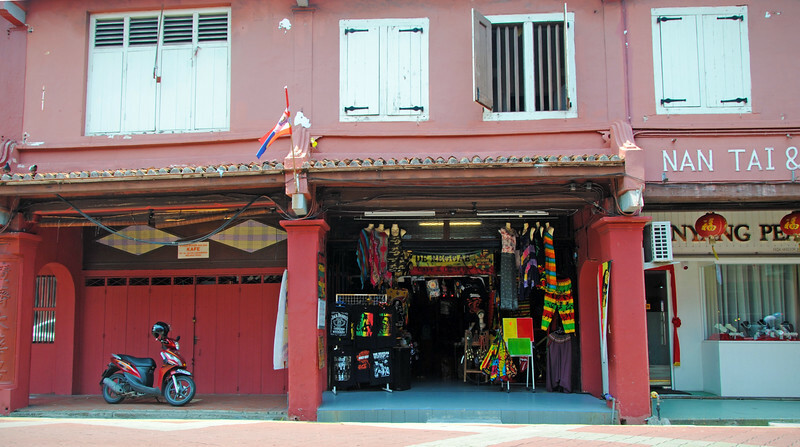 Irie Mon. 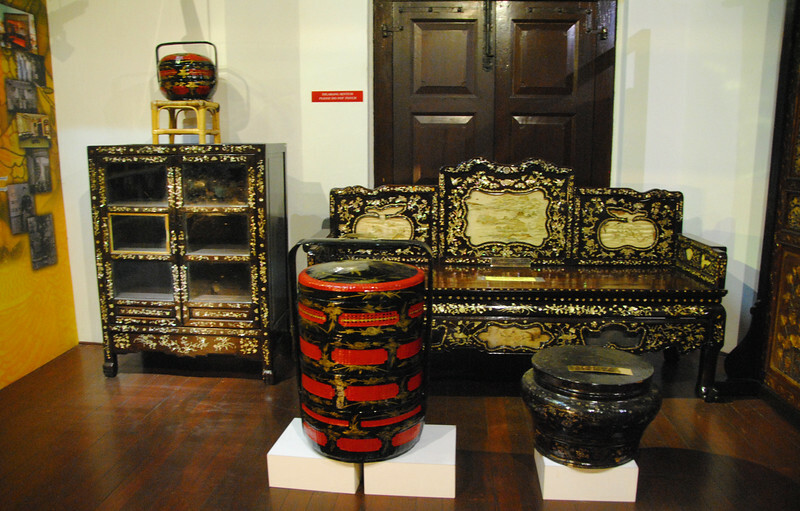 I had to take a picture of this furniture in one of the rooms in the museum depicting Chinese culture in Malacca. 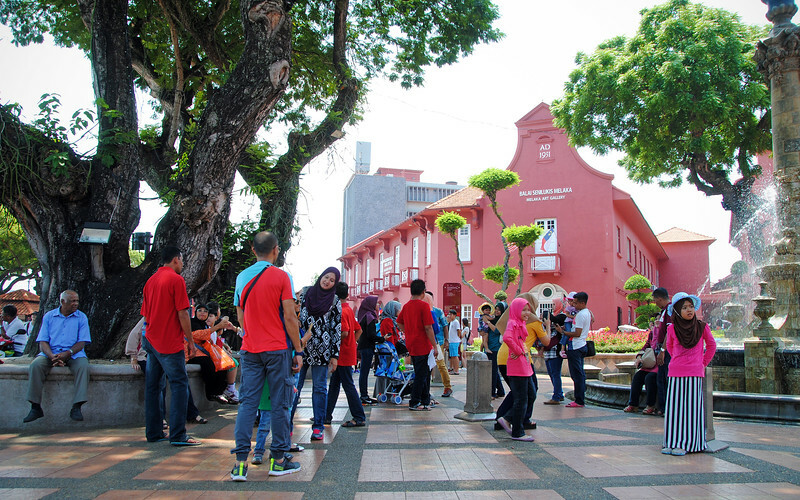 This looks *EXACTLY* like our living room did when we used to live in Malaysia. My mom still has some of these pieces that she brought over to Toronto. I think she may have bought them here. It's very funny seeing your childhood preserved in a museum. Makes you feel kind of old. 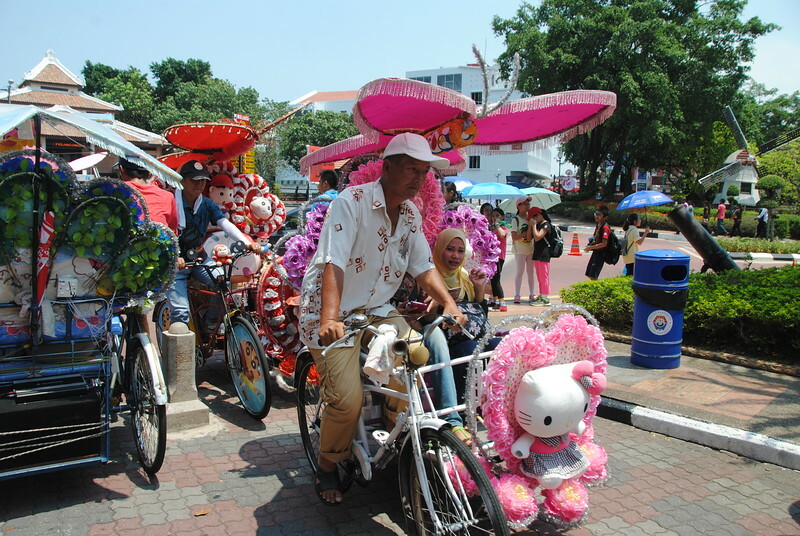 In Malay, it's called Melaka. We love it! 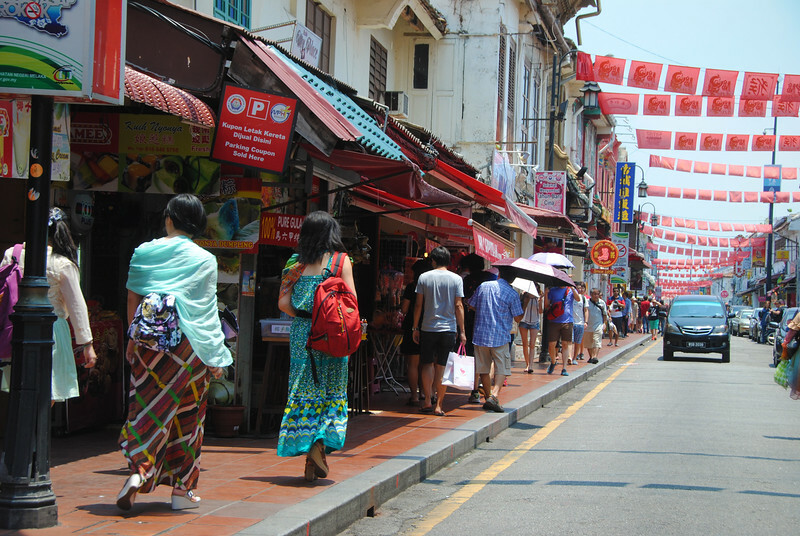 Line of stores and shoppers on Jonker St.